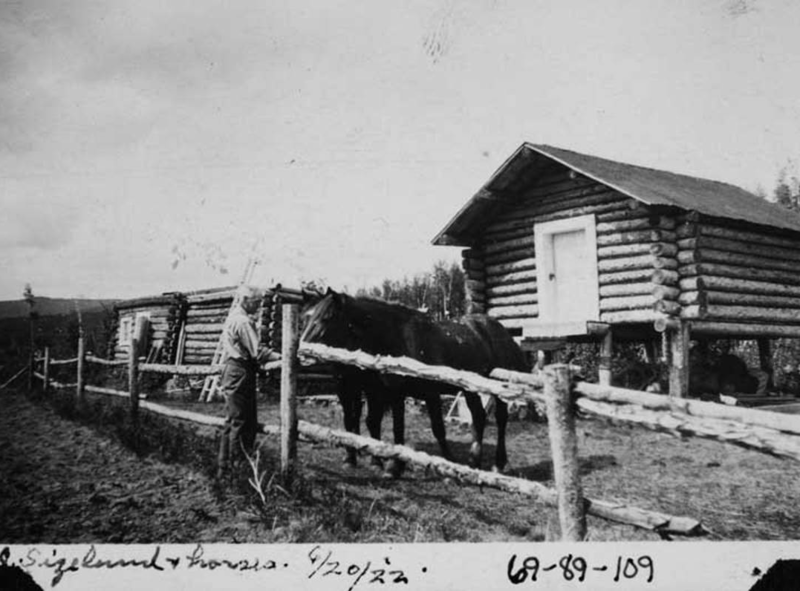 The Alaska Engineering Commission constructed a good-sized community at Deadhorse Hill, comprised of several buildings and the Talkeetna District Headquarters for the railroad construction project. In the 1919-1920 Alaska Railroad Record (Vol. IV. No. 14, page 106) it was noted by Col. Frederick Mears, Chairman and Chief Engineer, “…a great deal of work will be required in repairing the old grade constructed in 1917 and 1918 along this 24-mile section as some of it has gone to pieces very badly at several points owing to its abandonment when work was shut down. Deadhorse Hill became a prominent staging point for supplies and equipment on the northern half of the railroad construction project, which included three important bridges. The first one crossed the upper Susitna River; the second spanned the deep-walled Hurricane Gulch; and the third was at Nenana, where a long trestle approach led to the crossing of the Tanana River. 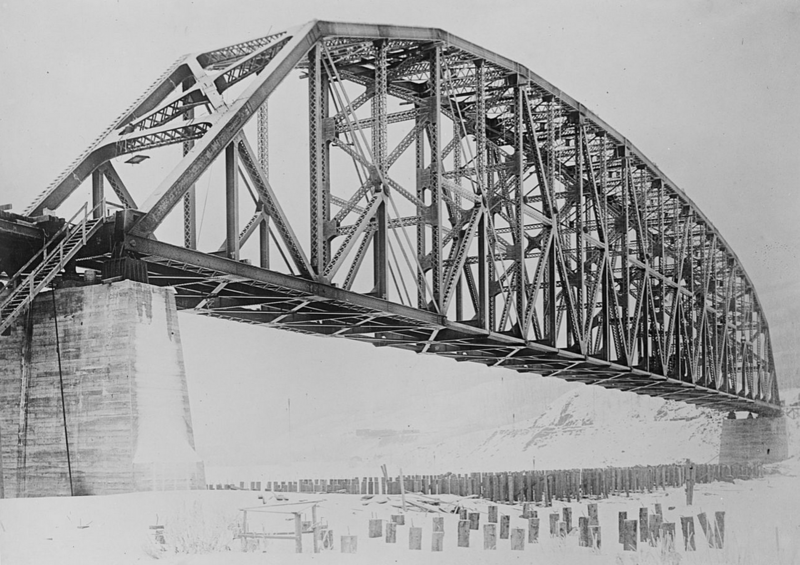 At 700 feet long, the Tanana River bridge was the longest truss span in the United States and its territories, and the bridge still ranks as the longest span of any kind in Alaska and the third-longest simple truss bridge in North America. In July, 1923 President Warren G. Harding drove the ceremonial Golden Spike at the north end of this bridge. 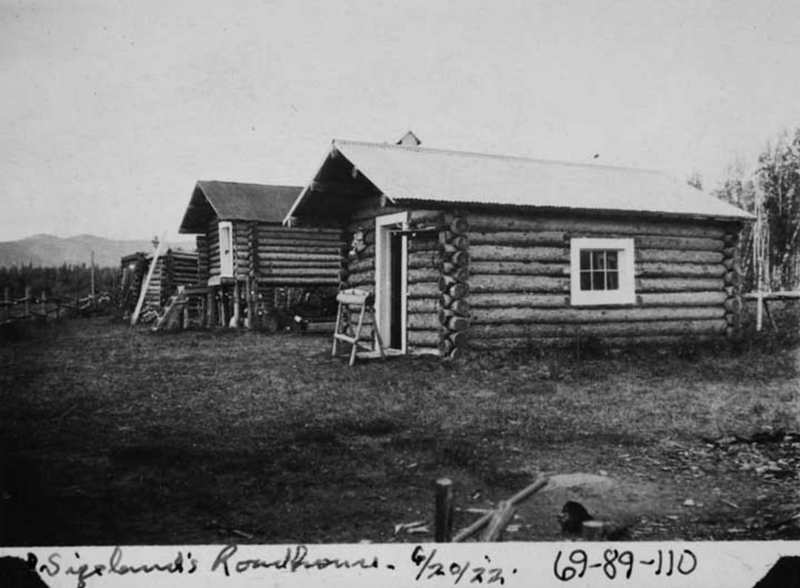 Because Deadhorse Hill was such a key location, a large roadhouse was built at the site in 1917 to accommodate the construction workers, officials, and occasional visitors. 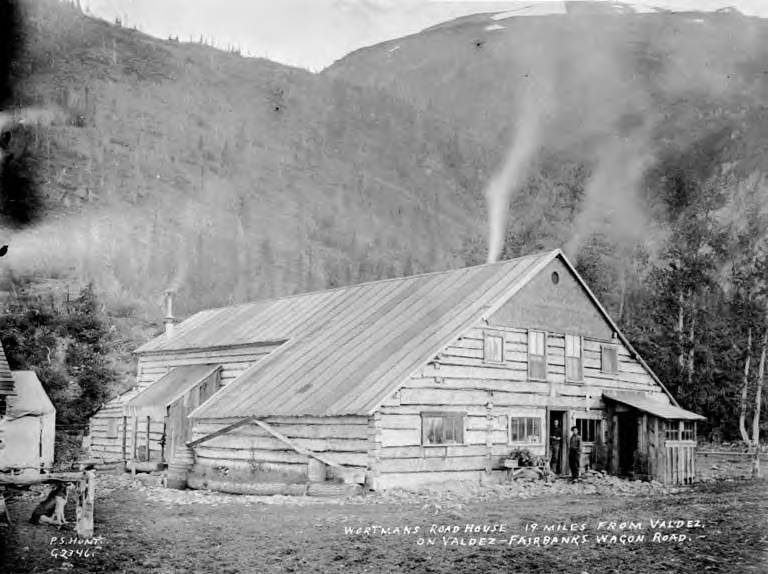 Management of the new roadhouse was given to a woman who was already a much-loved figure on the Alaska Railroad, an intrepid big game hunter and sled dog musher who, for three years, had held the contract for the Grandview Roadhouse at mile 45, at the southern end of the tracks near Seward. Nellie Neal’s gift for storytelling and entertaining her guests, along with her notable skill with a rifle (which assured plenty of meat on the tables), and her selfless bravery in rescuing a lost mail driver with her dog team had elevated her to near-legendary status along the railroad. 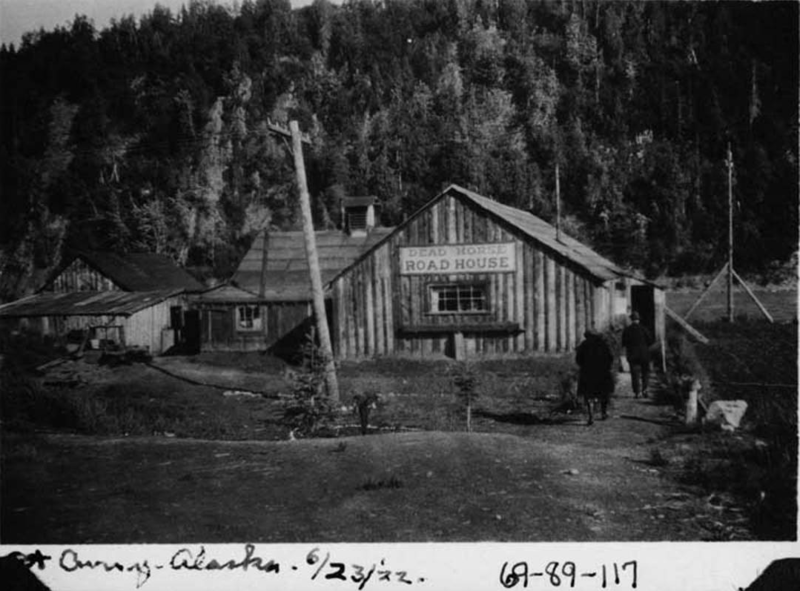 With the completion of the railroad came significant changes to the little community, largely in the form of a luxury resort hotel built across the tracks from the roadhouse by the Alaskan Engineering Commission. 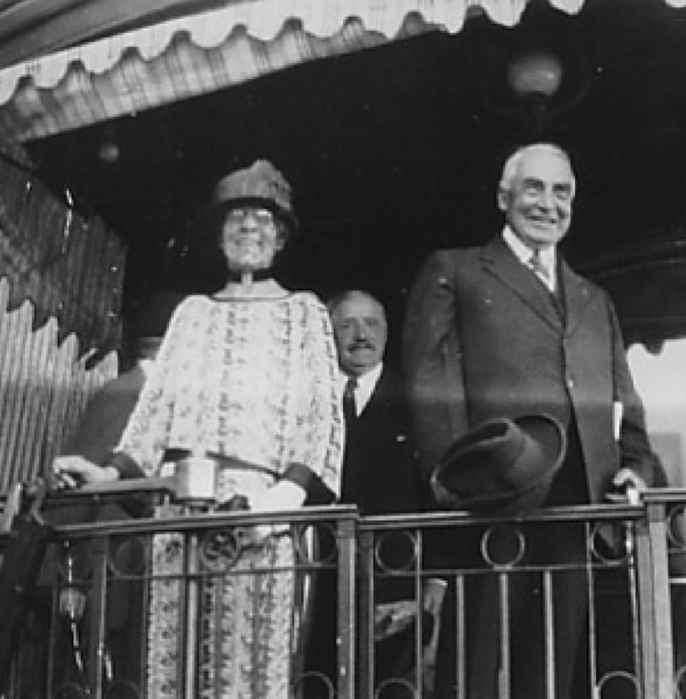 In 1922 the name of the community was changed to Curry, to honor Congressman Charles F. Curry of California, chairman of the Committee on Territories, who was a strong supporter of the Alaska Railroad. 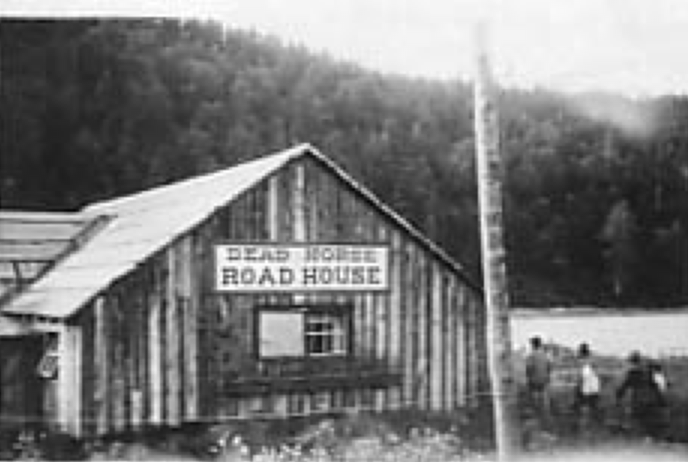 Kenneth Marsh included an article from the December 2, 1922 issue of The Pathfinder of Alaska, newsletter of the Pioneers of Alaska, which described the impending demise of the Deadhorse Roadhouse: “The famous old roadhouse located at Mile 248 on the Government Railroad is now singing its Swan Song and will soon cease to function as a hostelry. 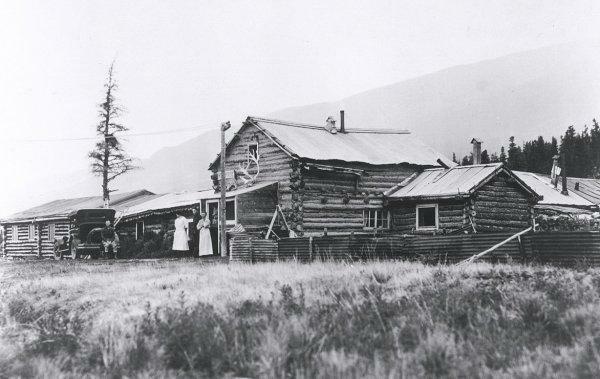 The camp’s name has also been changed to Curry–named in honor of Senator Curry, Alaska’s friend. 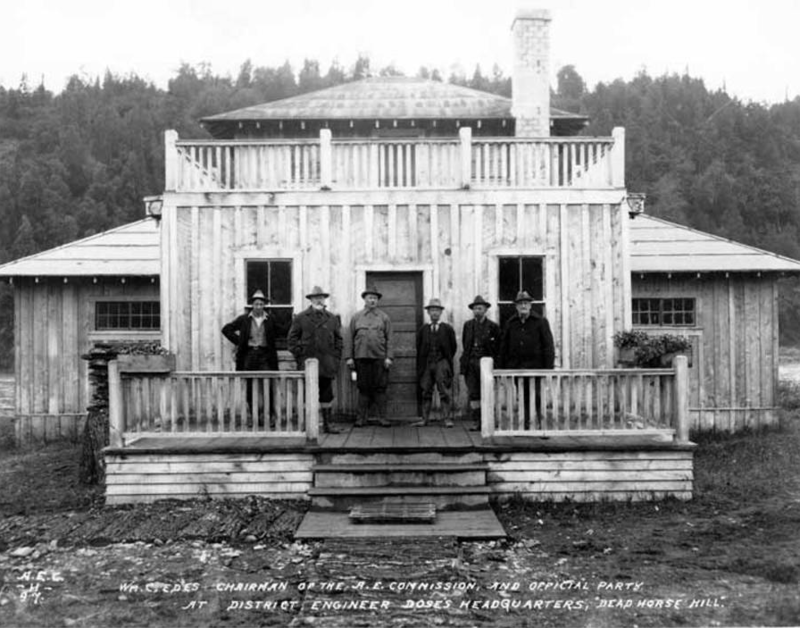 “The Alaskan Engineering Commission now has a large railroad hotel nearing completion, which will be modern in every detail. Electricity, steam heat, hot and cold water systems are being installed, telephones, baths, laundry, big dining room and other conveniences all under the same roof as the depot, will ensure comfort to all guests. 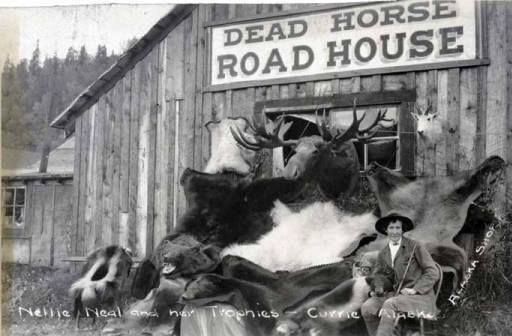 This entry was posted in Alaska Railroad, Roadhouses and tagged Alaska, Alaska Nellie, Alaska Railroad, Alaskan Engineering Commission, Charles F. Curry, Col. Frederick Mears, Curry, Curry Hotel, Dead Horse Roadhouse, Deadhorse Hill, Deadhorse Roadhouse, Fairbanks, Helen Hegener, Herbert Hoover, Hurricane Gulch, Ken Marsh, Kenneth L. Marsh, Lavish Silence, Nellie Neal, Nellie Neal Lawing, Nenana, Northern Light Media, Pioneers of Alaska, President Harding, roadhouse, Seward, Susitna River, Talkeetna, Tanana RIver on June 12, 2015 by Helen Hegener. 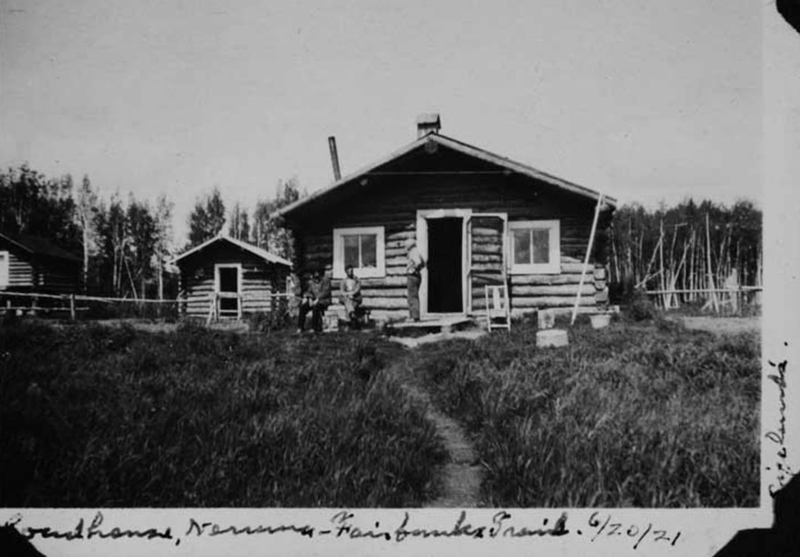 NENANA. Pop 1000. Situated on the left limit of the Yukon River near its confluence with the Nenana. 60 m sw of Fairbanks, banking point. With the advent of the U S Government railroad this place has grown from a trading post of a few people to one of the progressive cities of the North. Being the first point in Central Alaska where the Government railroad reaches navigable water, immense docks, which were constructed by the Alaskan Engineering Commission, line the waterfront. Has Presbyterian and Catholic churches and Episcopal church and school. A weekly newspaper, The Nenana News, is published. The opening up and developing of the Nenana coal fields, which lie but a short distance south, means a great deal to this town, as well as the whole Tanana district. The Mount Mc-Kinley National Park lies 75 m sw of Nenana, which is the outfitting point for touring parties into this great natural park. 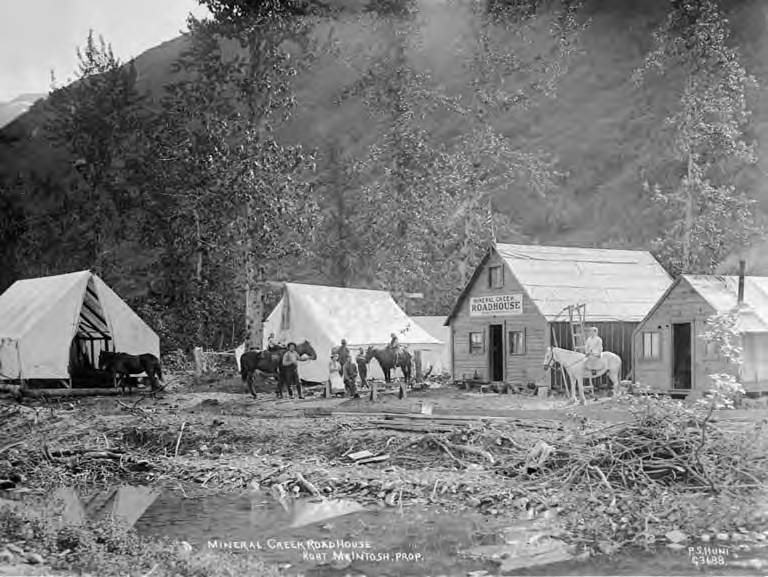 Washington-Alaska Military Cable and Telegraph System. Am Ry Express. 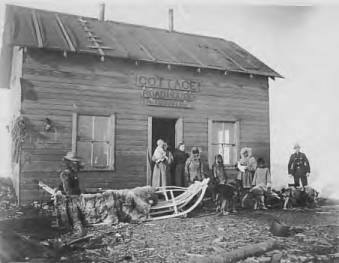 In the directory section there are listings of trappers, miners, longshoremen, fishermen, dozens of Alaska Railroad officials and workmen, and, oddly, a name identified as the “city scavenger.” What is not included, oddly enough, is any listing for the name of Sizeland, or Sizeland’s Roadhouse. Since the photos of the roadhouse are from 1922, this glaring omission a year later struck me as rather odd. A 1955 Department of the Interior report still listed James Sizeland as a patient at the infamous Morningside Sanitarium in Portland, Oregon. He would have been 79 years old. A further search, of the hospital’s patient records, shows he passed away the following year. This entry was posted in Parks Highway, Roadhouses and tagged horses, James Sizeland, Morningside, Nenana, Nenana River, Nenana-Fairbanks Trail, Sizeland's Roadhouse on June 6, 2015 by Helen Hegener.